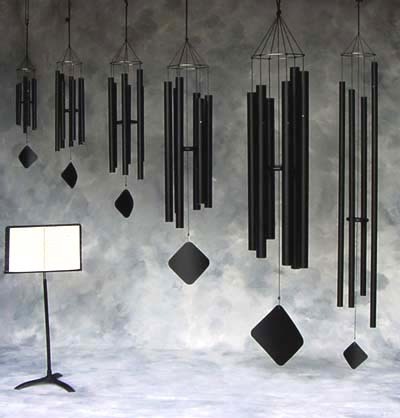 We have the most beautiful sounding wind chimes on the planet. And for good reason... they are not your "run-of-the-mill" chimes. When you visit us, you will be greeted by a symphony of sounds. The chimes are all hand-crafted, and the tones coming from them are "symphonic" quality. Hearing is believing! Click the logo above to learn more.